No matter what size your business is, the importance of a Customer Relationship Management (CRM) system should not be underestimated. Over time it will become your greatest asset for delivering more sales. When you decide to start a business I would like to think that you are doing it because, not only are you passionate about it, but that you have done your homework and found a niche in the market where customers will come and buy your products or services. So surely the first thing you do is start to plan a sales and marketing campaign and target your likely customers and build a customer database. Whilst a spreadsheet may be effective just to get you going, depending upon what you are selling, this can very quickly turn from 30 or 40 customers to hundreds in a very short period of time. So you suddenly go from knowing who your customers are to just a list of contacts who do business with you through the year. This is where CRM is most valuable to growing businesses because it gives you back the control and knowledge of your customers, no matter how many customers your have, so you can continue to treat them as personally as when you did that first deal. An effective CRM system means you capture the details of each customer from their personal details (with full GDPR compliancy) to how they found you, what they bought, the value, when they bought, how they use your product/service and so on. This also gives your customer the feeling that you understand their needs and show a degree of care which in turn delivers a great customer experience. This customer experience will hopefully develop into customer loyalty which will help to generate referrals for your business. But CRM is a valuable across your departments. It should not just be siloed in sales and marketing but be accessible across the business e.g Customer Support teams can effectively manage after sales issues. Operations can track supply chain and Finance teams can view sales forecasts and values. When a customer contacts your business, generally because there is a problem, no matter who picks up the call, a quick look at the CRM will identify the full history of that customer so any issue can be dealt with efficiently hopefully leaving the customer happy with the outcome. An unhappy customer wants to have a quick resolution to their problem, no automated “press 1 for…2 for…Sorry but…etc.”, just someone to talk to. 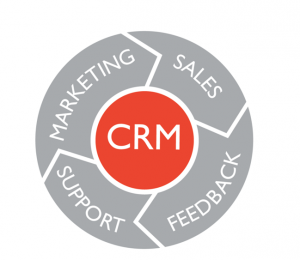 Your CRM database is the backbone of your business and is a valuable asset in its own right. It should follow the workflow of how your company does business e.g. is it all managed internally or is there external access required from a field sales force. If you are currently working from a spreadsheet, consider looking at CRM solutions such as Zoho, Hubspot Capture and SalesForce but make sure they meet the requirements of your business workflow. So the choice of CRM depends upon how your business operates so if there isn’t a package out there that solves this, then it is often better to have your own, bespoke database. The difference in investment is that the packages are a continuous monthly fee whereas a bespoke solution is yours and over time may be a better investment. Wanting More Sales ? – Get in Touch!